These Almond cookies are crispy and yet will also melt-in-your mouth. 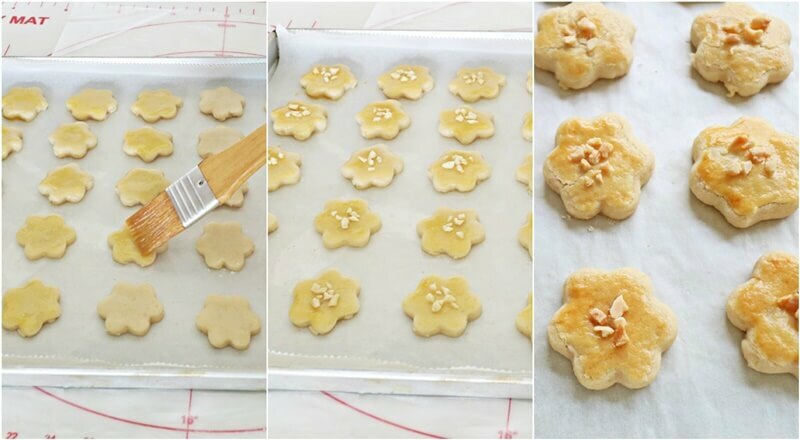 This is an easy recipe as you just need to mix all the ingredients together by hand and then use a cookie cutter to stamp out the desired shapes, then bake in the oven for about 15 minutes. 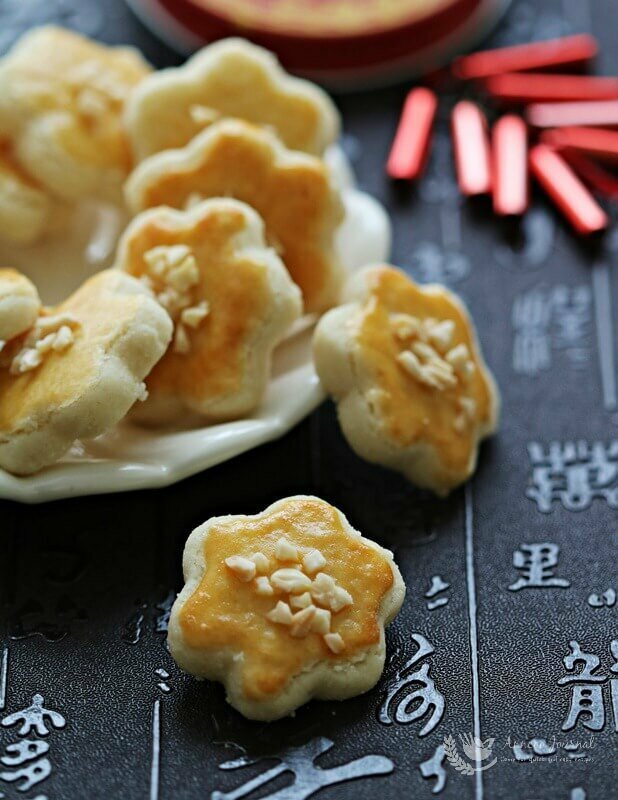 These sweet and salty cookies are full of almond flavour and the almond nibs give an added crunch, thus making them addictive. 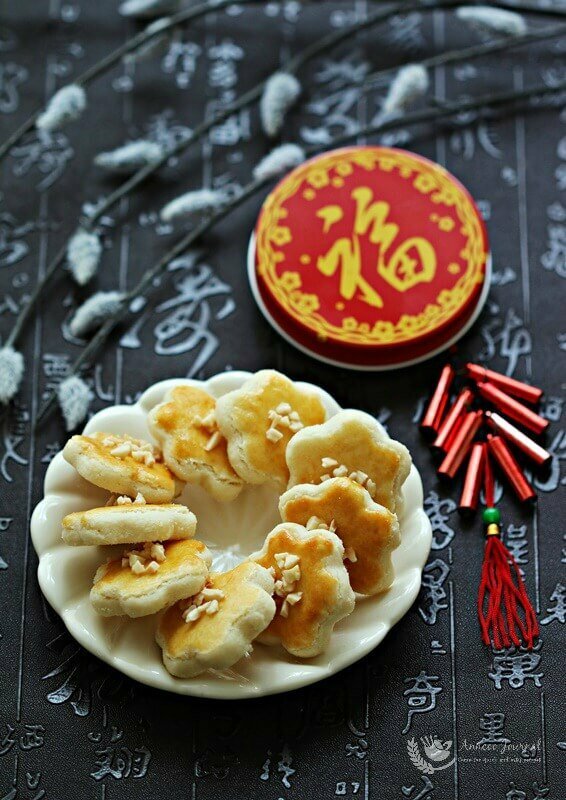 This is one of my favourite snacks and it is also great to serve these cookies during the upcoming Chinese New Year holidays. Sift all the dry ingredients including icing suger in a large bowl and mix well with ground almond. Make a well in the center and pour in corn oil. 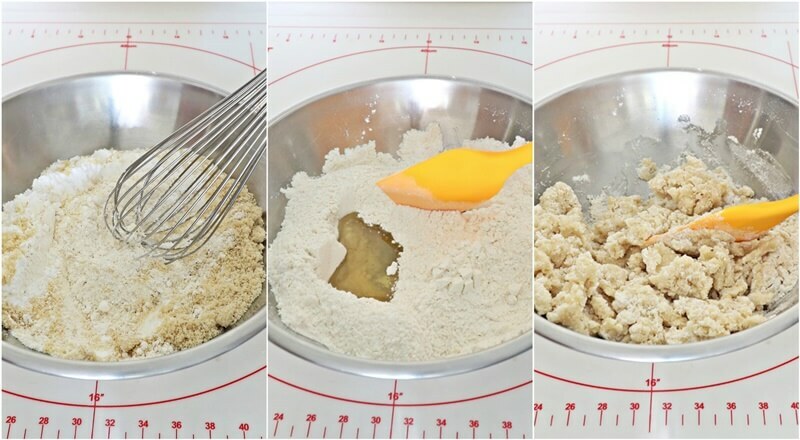 Use a rubber spatula to mix the ingredients till combined and use hand to knead it into a soft dough. 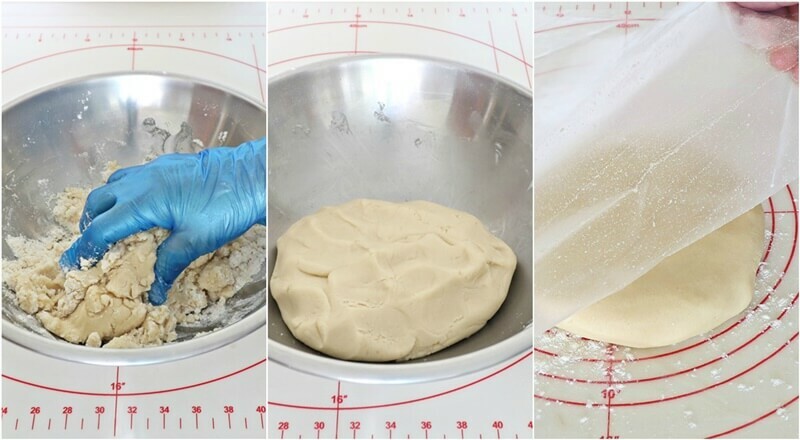 Roll dough between 2 plastic sheets to a thickness about 3mm. 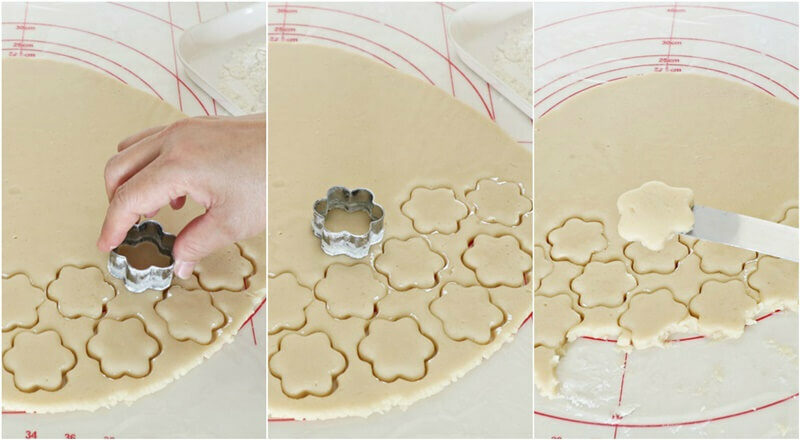 Cut out the dough by using cookie cutter and use a small palette knife to lift up the cut-out soft dough and place on a baking tray lined with baking sheet. (or roll it into small ball). Lightly brush the top of cookie twice with egg wash. (one lightly beaten egg). Sprinkle some almond nibs on top if you prefer. Bake in preheated oven at 150C for about 15 mins or until golden brown. Leave cookies to cool on wire rack and store in airtight container. Hi Ms Low…. may I know why is my mixture not able to form into a dough? Thank you. 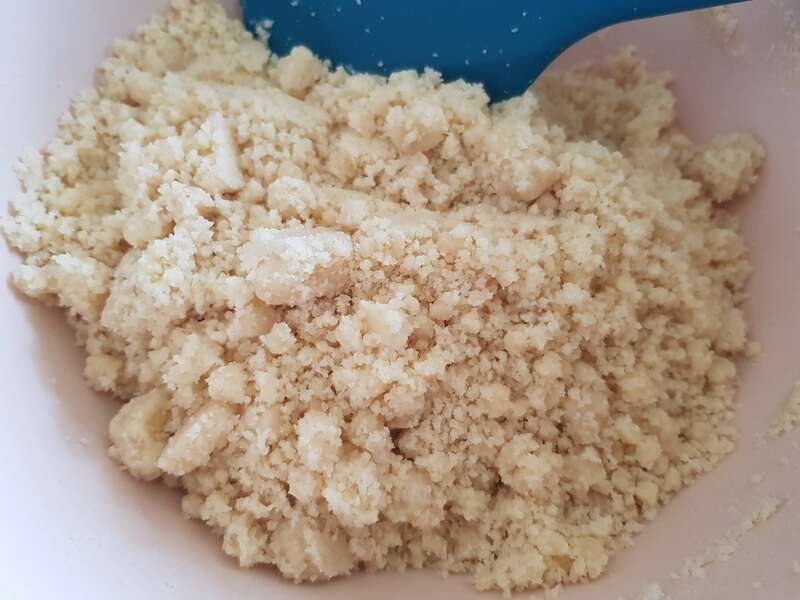 Hi Kelly, Did you use a blender or cake mixer to mix the mixture or you changed the ingredient a bit because I can in your pic there are some lumps in it. That was the cause of using brown sugar. 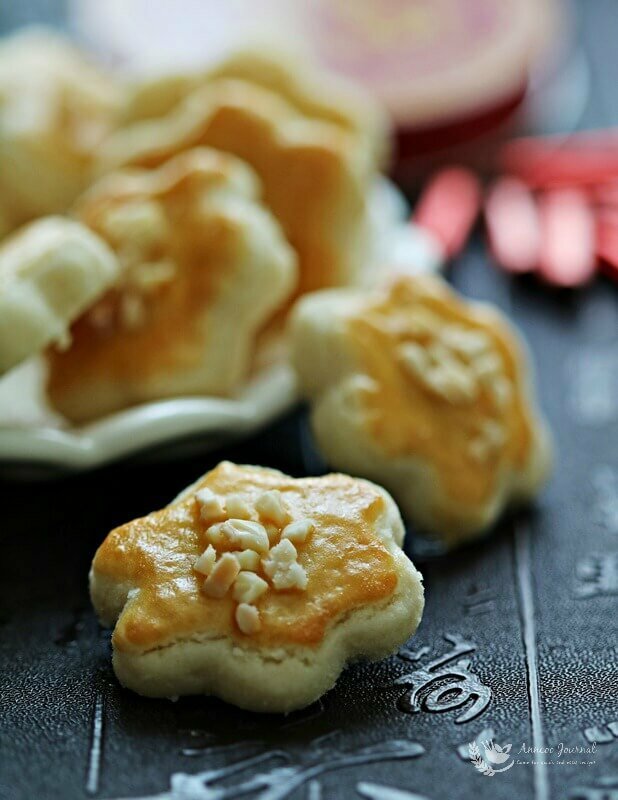 Icing sugar is powder form and it will melts quickly while mixing the ingredients together. Hi Ms. Low, Thank you for your exciting recipe! 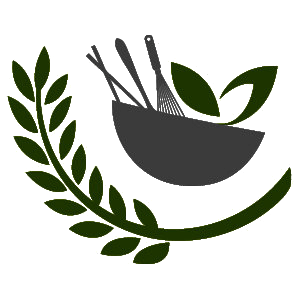 Can I use Olive Oil or Grapeseed oil instead of corn oil? Will it turn out different? Hi Faye, Is better to use vegetable oil as olive oil will overcome the ground almond.